Call of Duty: Ghosts's monopoly on canine-based shooters is through. 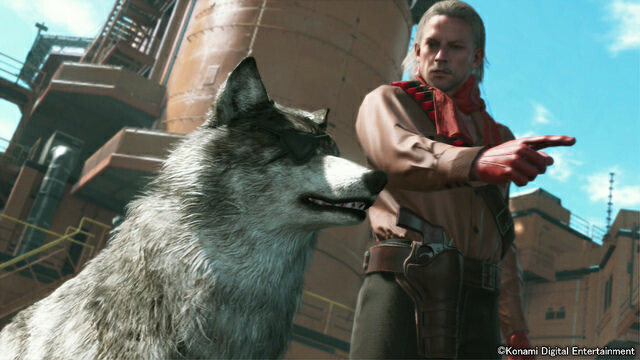 New gameplay footage of Metal Gear Solid 5: The Phantom Pain reveals that Big Boss will get a wolf companion named Diamond Dog. 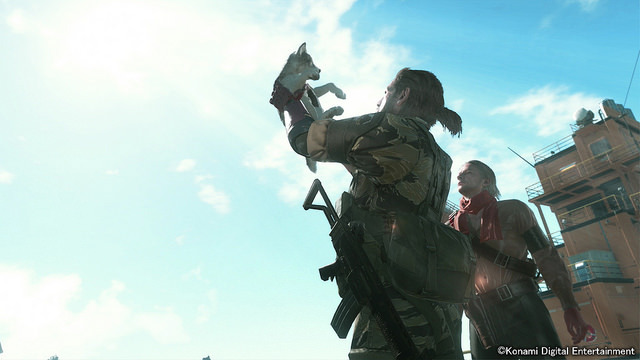 Big Boss discovers the baby wolf while trekking through the woods. An older wolf, presumably its mother, is dead nearby. The cub takes an immediate liking to Boss, either because of his permanent scowl or his chain-smoking. The player has the option of airlifting the little guy out to his base. The video then jumps ahead in time. Snake's about to head out on a mission when Ocelot stops him. He reveals that he's been training Diamond Dog, now a full-grown wolf. DD, who has an eyepatch just like Boss, will accompany him into battle. Daww. It's unclear how exactly Diamond Dog (or DD) will contribute to covert operations. The U.S. military uses dogs for a variety of tasks, such as finding explosives or locating suspects. DD may help out in similar ways. Hopefully his missing eye won't interfere with those tasks too much. Any time a pet is introduced in a video game, I'm cynical enough to assume that the developer's going to kill them off to add some emotional weight to the story. The fact that Diamond Dog's an optional character suggests he's not part of some elaborate ruse to make me cry, though. 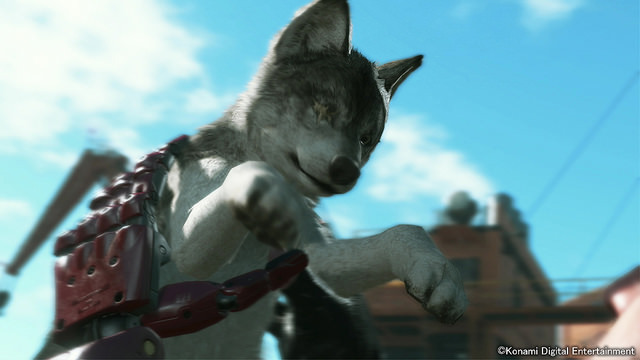 I swear to God, Kojima, you better leave that poor wolf alone. This video is one of several released for Metal Gear Solid 5 during Tokyo Game Show 2014 this week. The other footage presented this week introduced a new female companion named Quiet. We also got to see 21 minutes of Big Boss on a mission. Metal Gear Solid 5: The Phantom Pain still doesn't have a release date. Kojima Productions has been sharing a lot of videos and information on MGS5 throughout the summer though so at least the game seems like a lock for 2015.